At $32 its a reasonable price for a base coat and top coat. I have never tried anything from tenoverten though have thought a few times about trying out one of their three salons in Manhattan. Their polishes are available at both Sephora and Birchbox (American Site only, sorry Canadians) though this set (or any treatments) are unavailable through Birchbox. A duo with mini bottles of a nail strengthening base coat and a high-shine top coat. The Foundation strengthening base coat is infused with a natural active ingredient, horsetail grass, to repair damaged nails, prevent cracking, and fill ridges promoting long-lasting polish adhesion. The Shield creates a protective barrier for even wear and high shine. 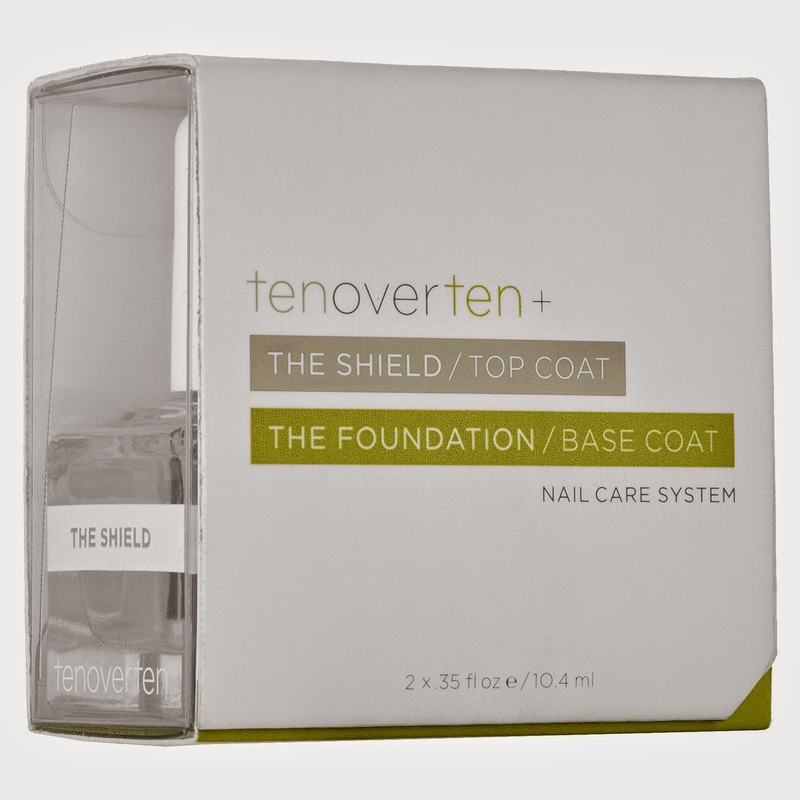 It provides a chip-resistant, protective guard for a smooth and even finish to any polish.